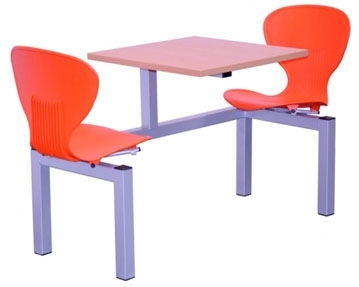 If you’re looking for attractive, practical and great value canteen seating units, we can help. At Furniture At Work, we offer an impressive variety of these products and should have solutions that match all of your requirements. 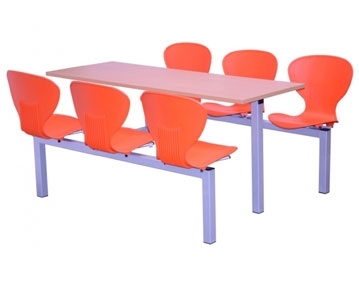 Take your pick from two, four and six-seater designs, giving you the flexibility to create a canteen seating solution that works for your space. 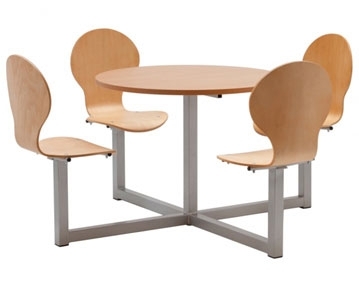 Our two and six-seater models come with square and rectangular tables, while our four-seater designs are available with a choice of rectangular and circular tables. Whichever designs you opt for, you can rest assured this bistro furniture will be robust and easy to care for. 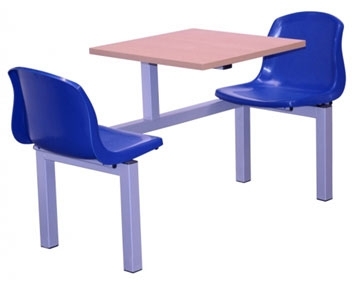 Made with fully welded epoxy powder coated frames and featuring wipe clean MFC table tops available in white or beach finishes, they are extremely easy to care for and will continue to look great year after year. 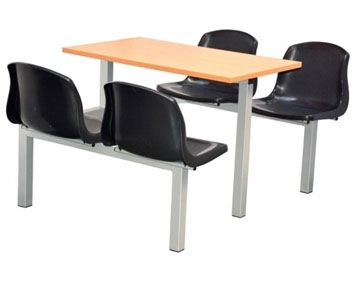 For added reassurance, this range of canteen furniture is available with five-year warranties. 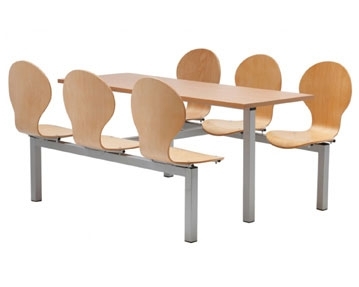 To create a traditional look in your dining area, our beech plyform wooden seats could be perfect, while if you want a more modern canteen, you can check out our polypropylene seats. These plastic designs come in a wide selection of colours, from understated grey and black to vibrant red, yellow and blue.